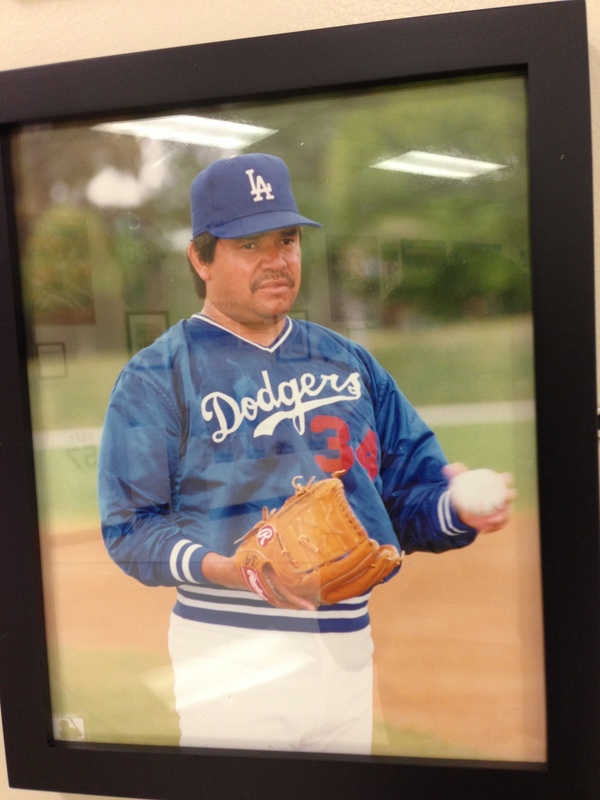 Fernando Valenzuela with a mustache. Jijiji. 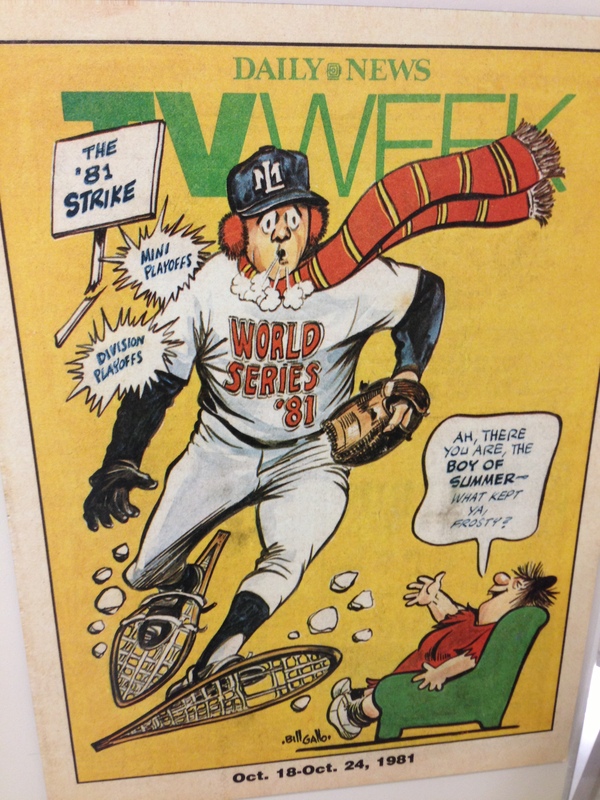 Who remembers when we used to get a TV guide in the newspaper? 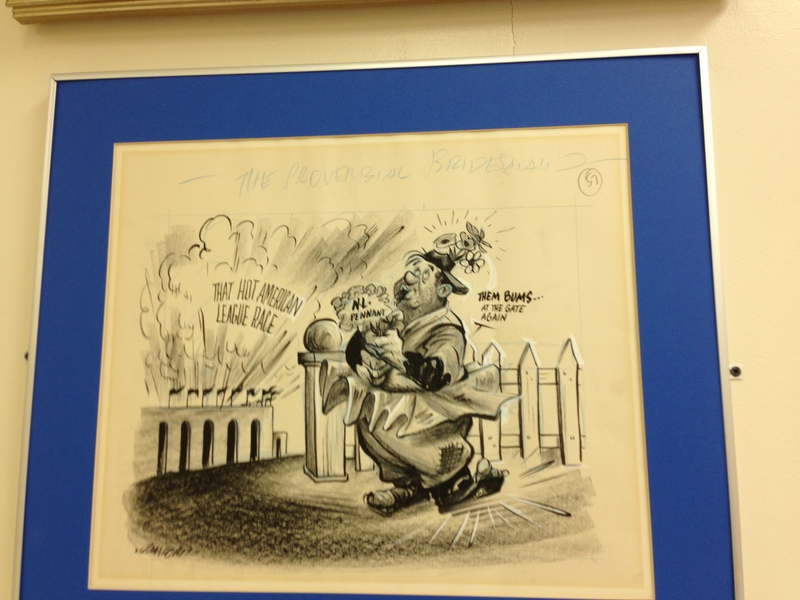 This from the Los Angeles Daily News in 1981.
movie poster Whistling in Brooklyn. I never knew these records existed from Union 76. 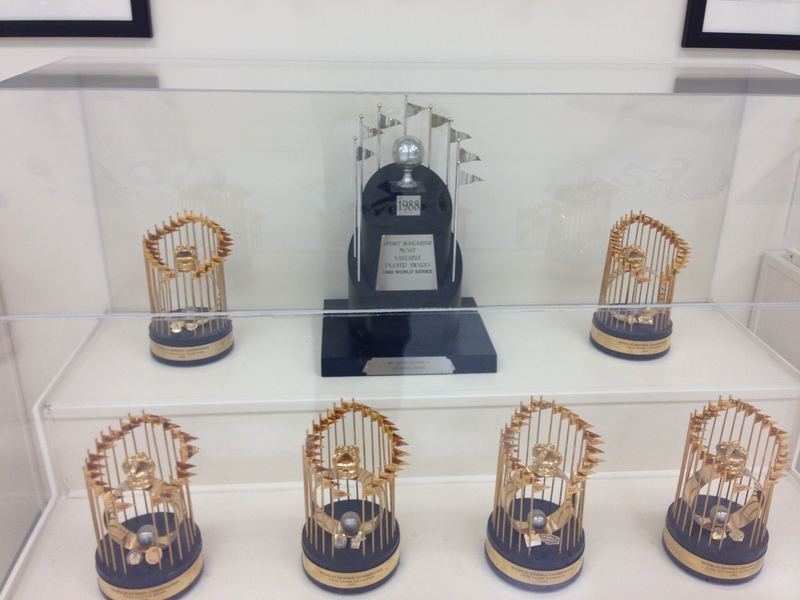 Dodgers Mini World Series trophies. 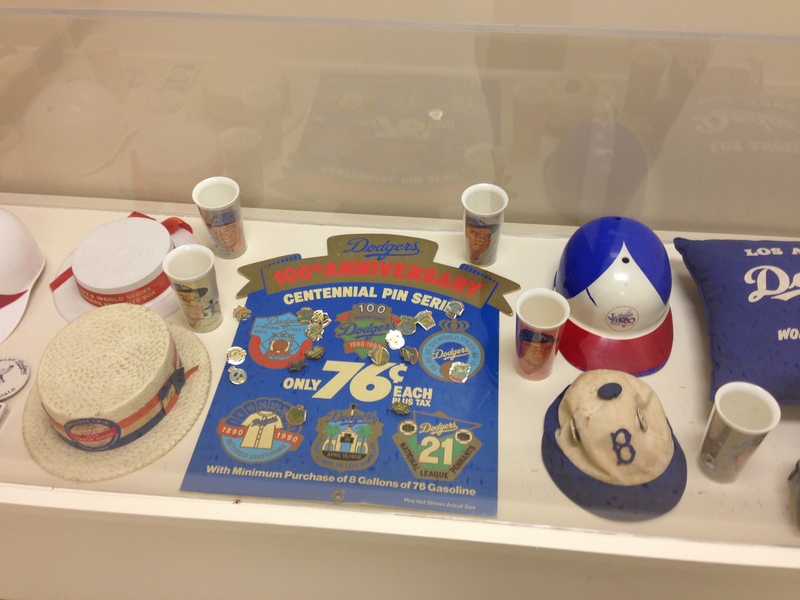 Union 76 pins. I used to collect these. 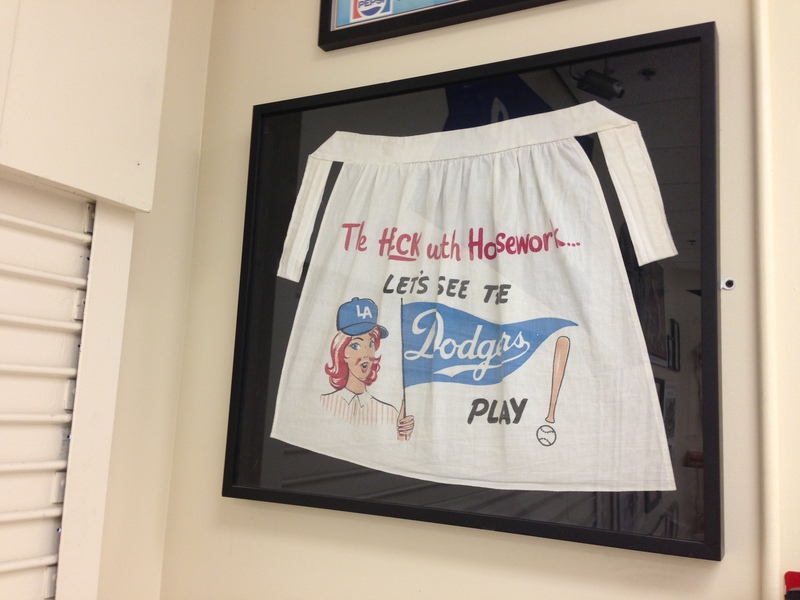 Other Dodger memorabilia. 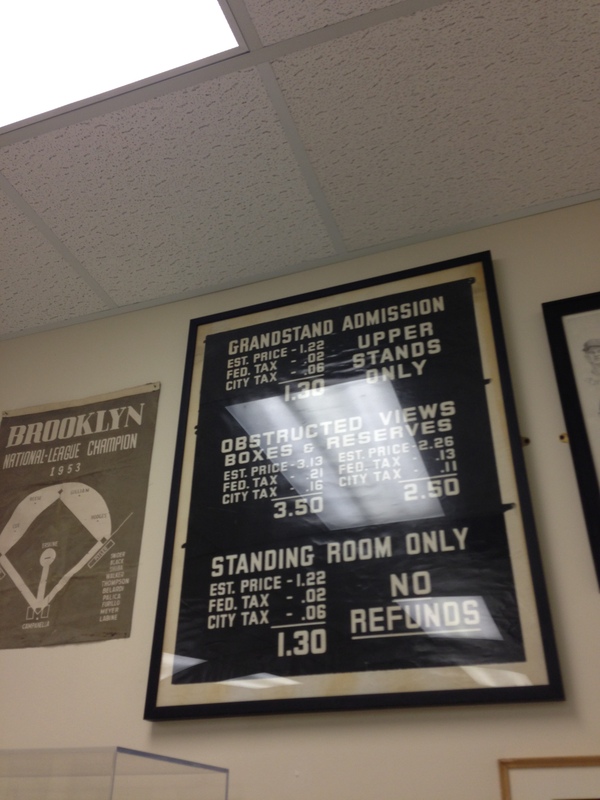 Ebbets Field ticket prices. 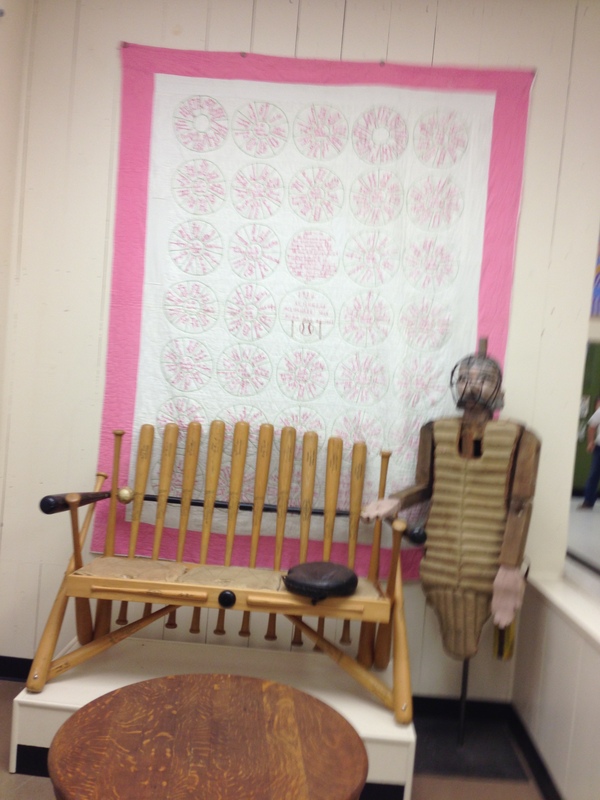 bench made of bats. 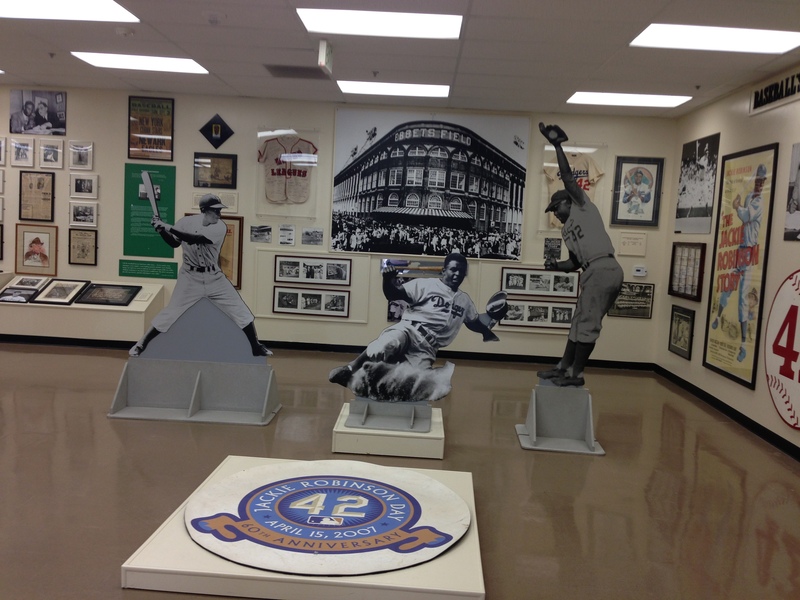 Another view of Brooklyn Dodger memorabilia & Jackie. I love this scorecard. 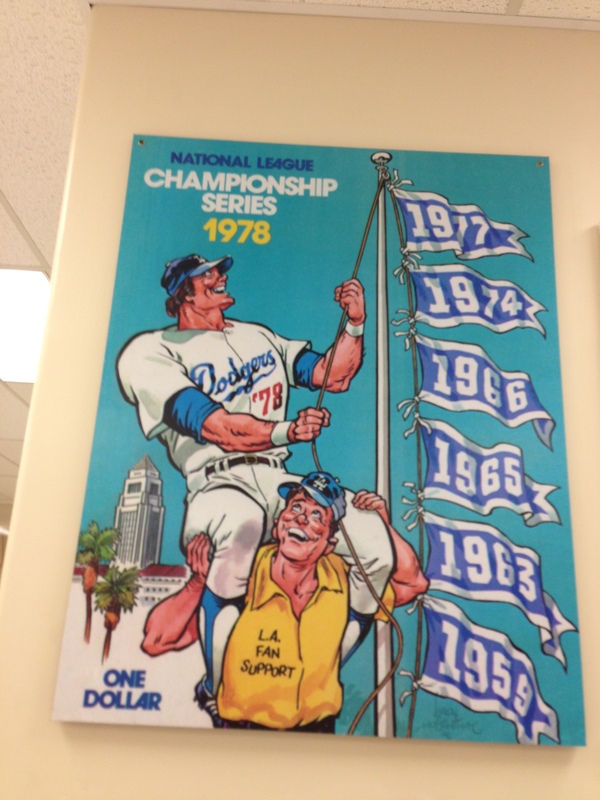 The Dodgers used to sell individual scorecards. Now they don’t but see them at other stadiums. I wish they would bring this back. 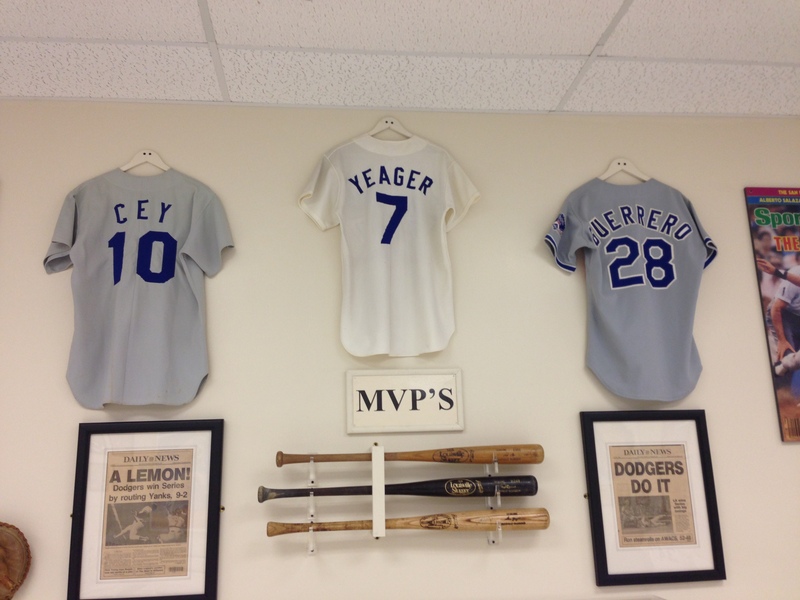 Dodger Stadium and the retired Dodger numbers. Oops! 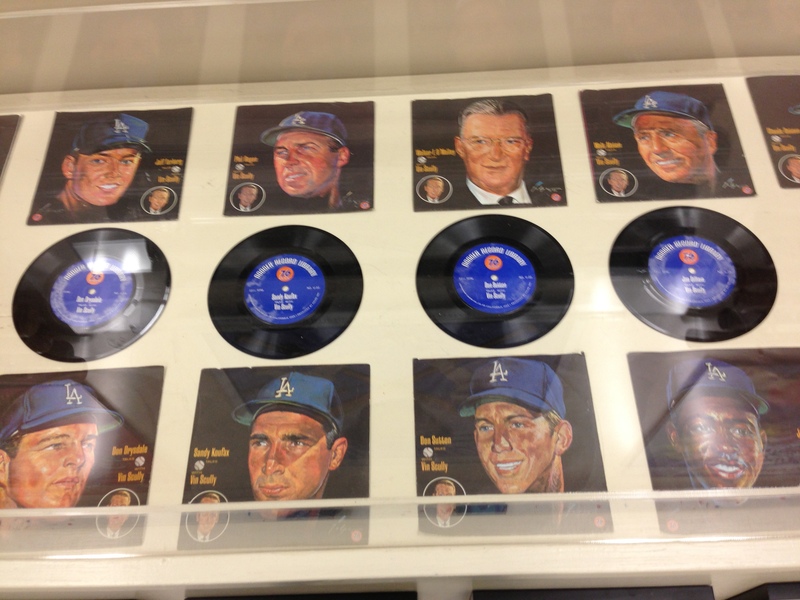 sorry Drysdale, I cut out part of your 53 number. 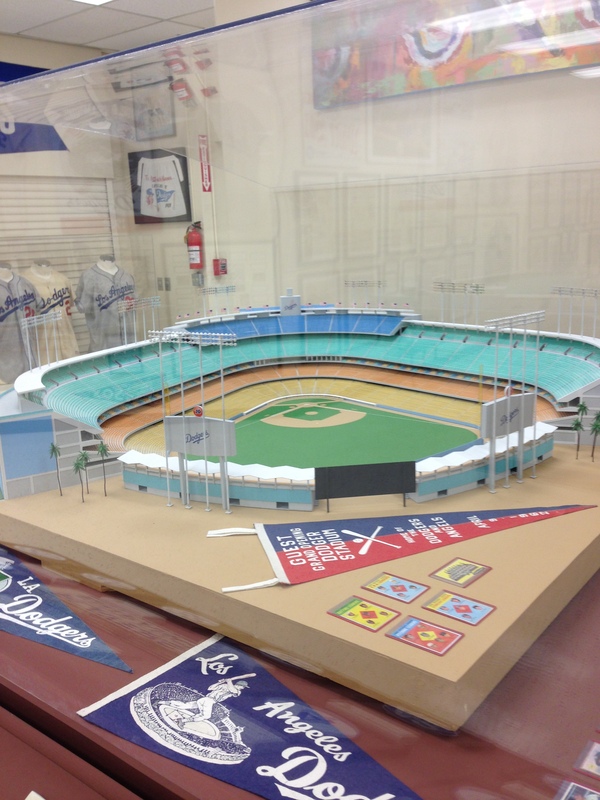 Dodger Stadium replica. 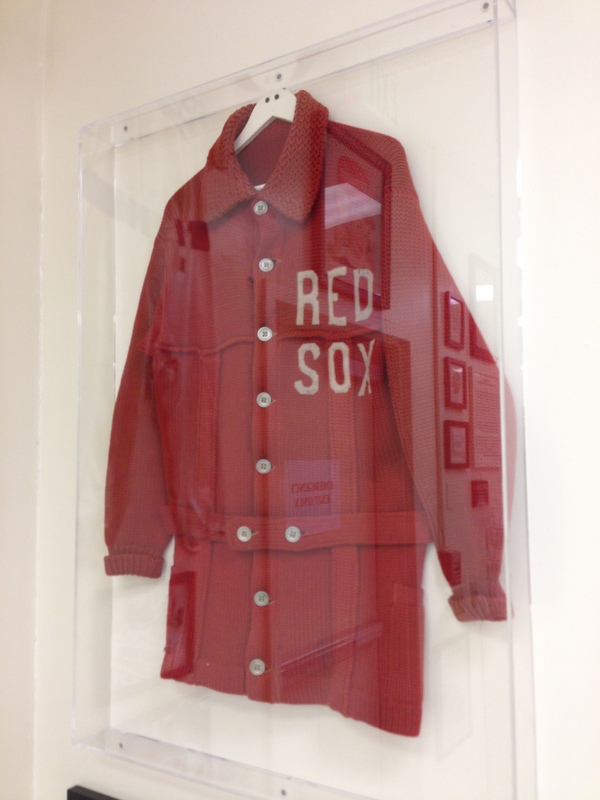 A Red Sox jacket to the right. 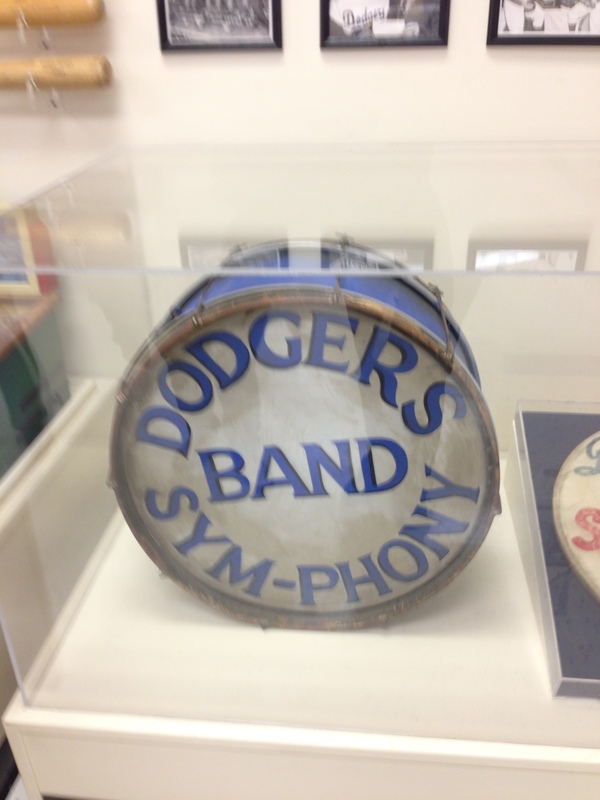 Dodgers band Sym-Phony. 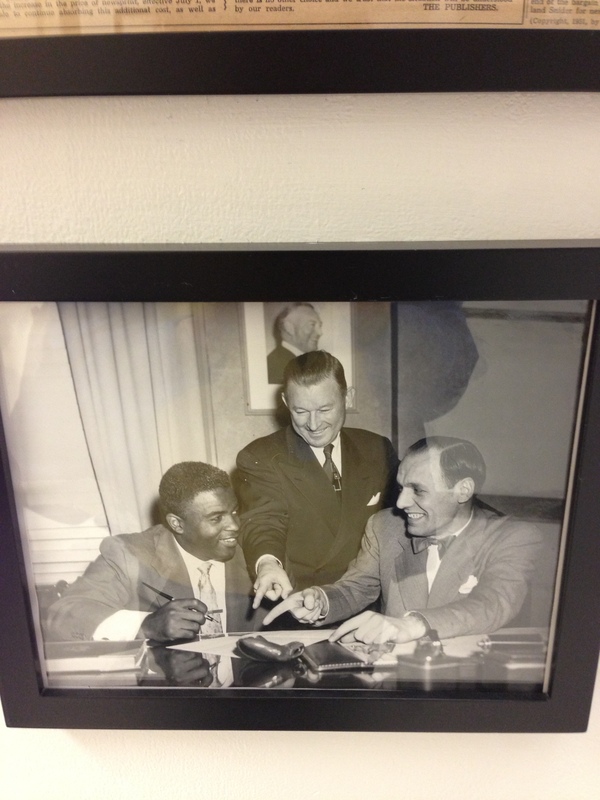 Jackie Robinson signing his contract. 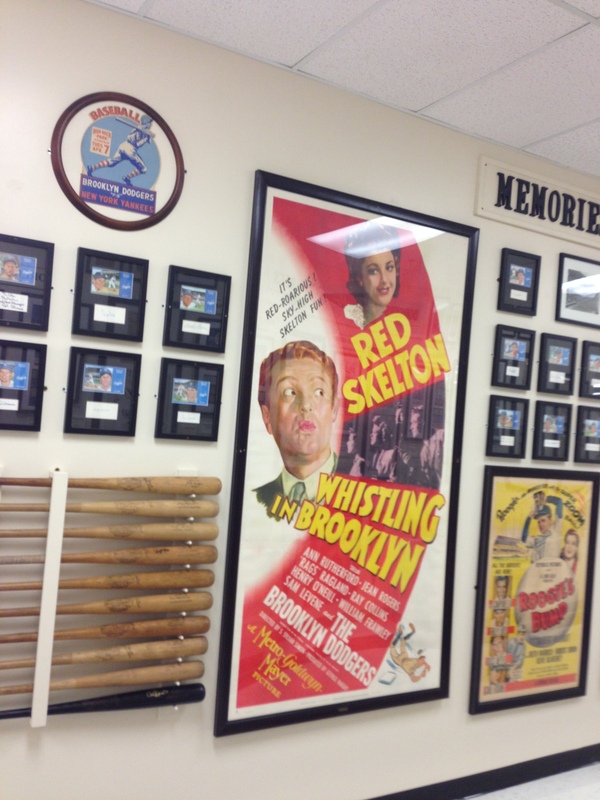 Leo Durocher in the picture. 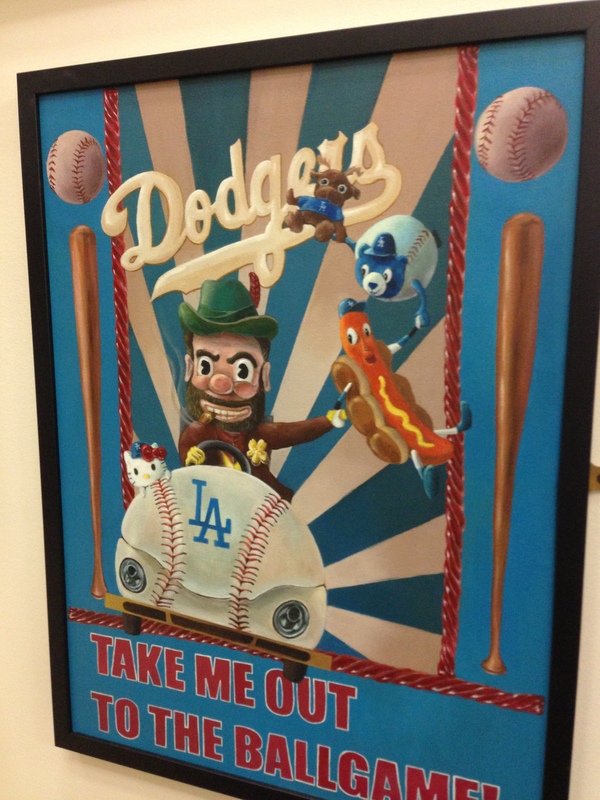 Dodgers Take me Out to the Ballgame. 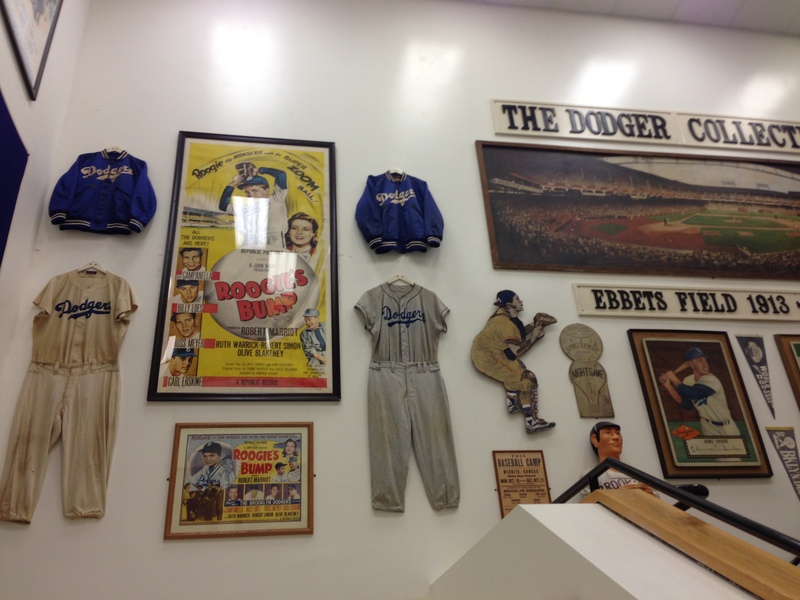 The Dodger collection wall going up the stairs. 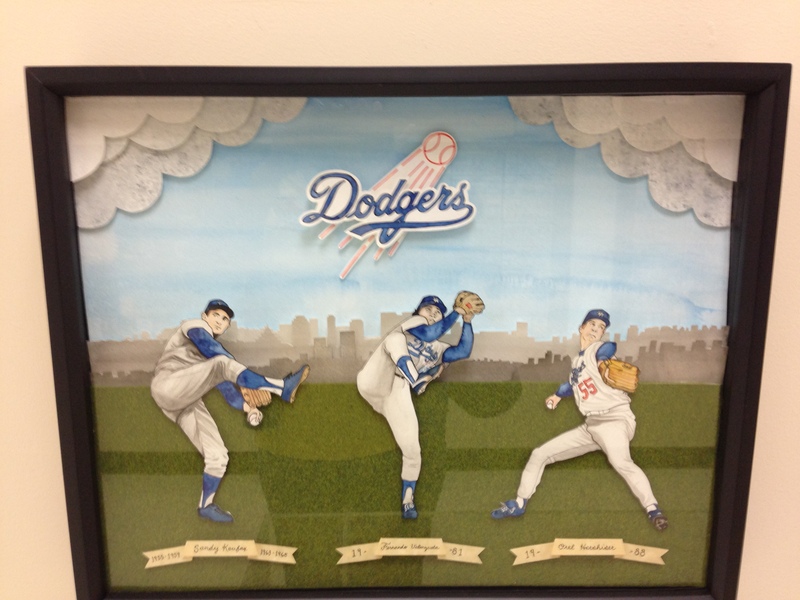 The other side of the above Dodger collection wall. Jay Johnston SABR speaker that Saturday. 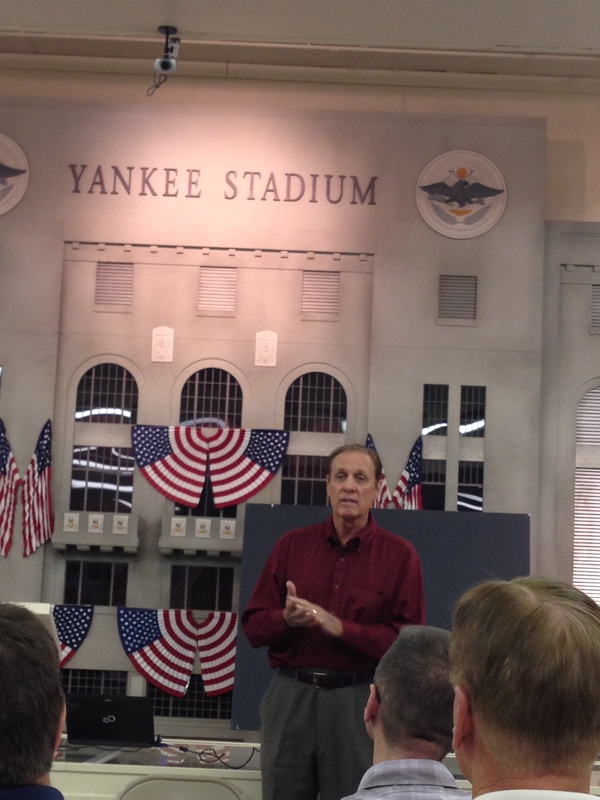 Jay Johnston speaking with a Yankees memorabilia in the background. It was a great event. Jay Johnstone made us laugh. 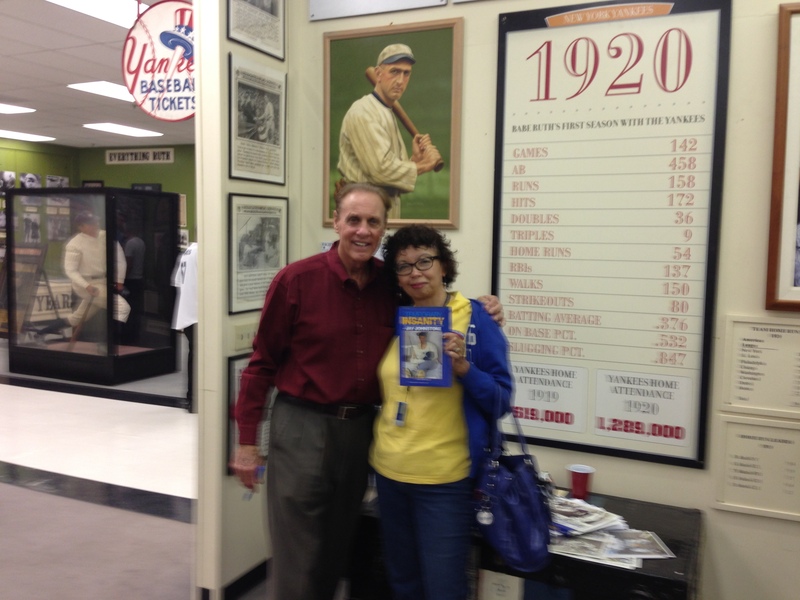 He had his book signed available for $20 including a picture of him signed and authenticated. Funds went to a charity . I already had his book but I bought another copy. 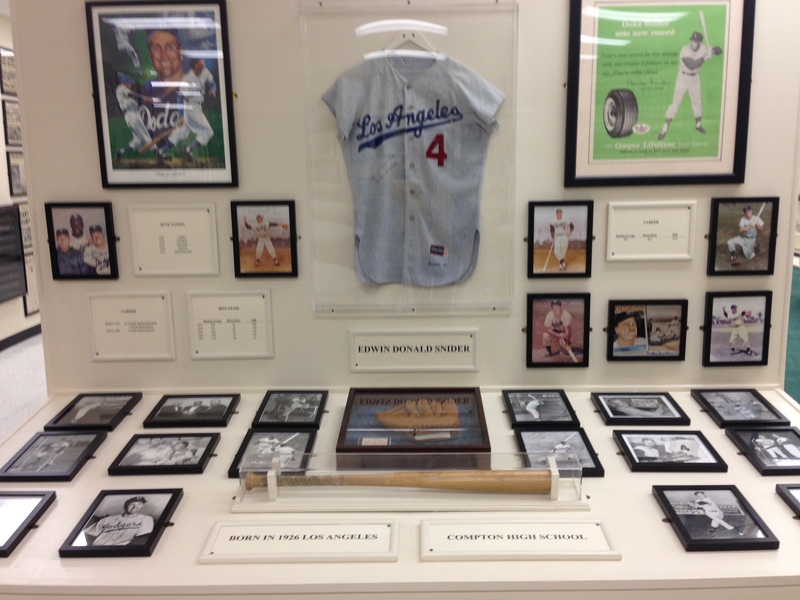 Andy McCue had a great presentation that day on the history of the Angels and Dodgers when the Angels were the Dodgers tenants at Dodger Stadium. Ralph Theodore Joseph Branca was born on January 6, 1926 in Mount Vernon. He was the fifteenth of seventeen children. 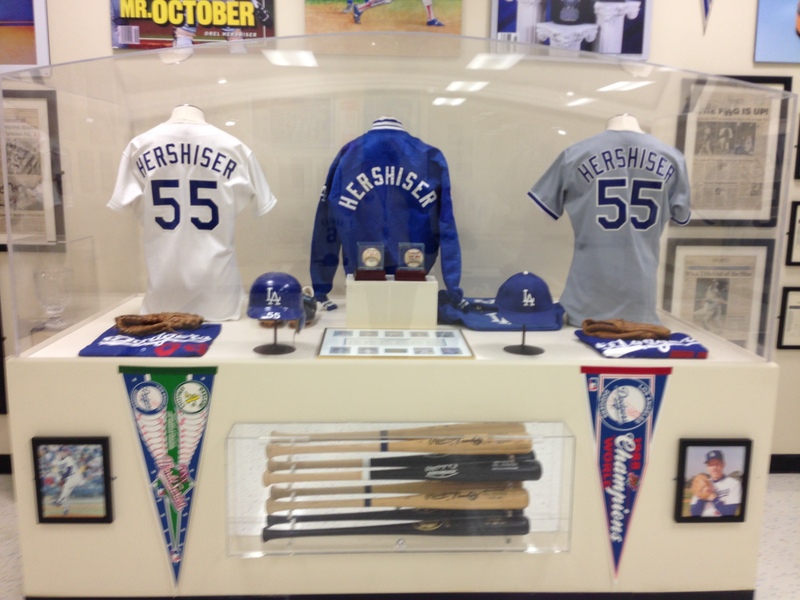 He was signed by the Dodgers after a local tryout. Ralph’s father, John Branca, came to America from Italy. Ralph’s mother, Katherine Berger, was born in Hungary. Ralph married Ann Mulvey in 1951. 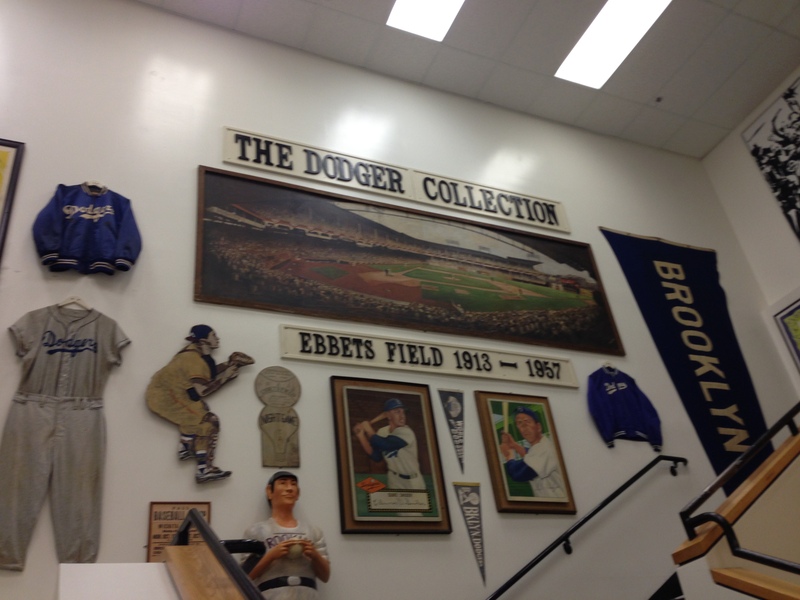 Her parents owned a share of the Dodgers, and her maternal grandfather had been president of the Brooklyn Club. 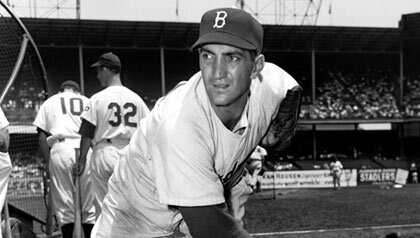 The Brooklyn Dodgers signed Branca out of the New York University in 1943, when he was just seventeen years old. 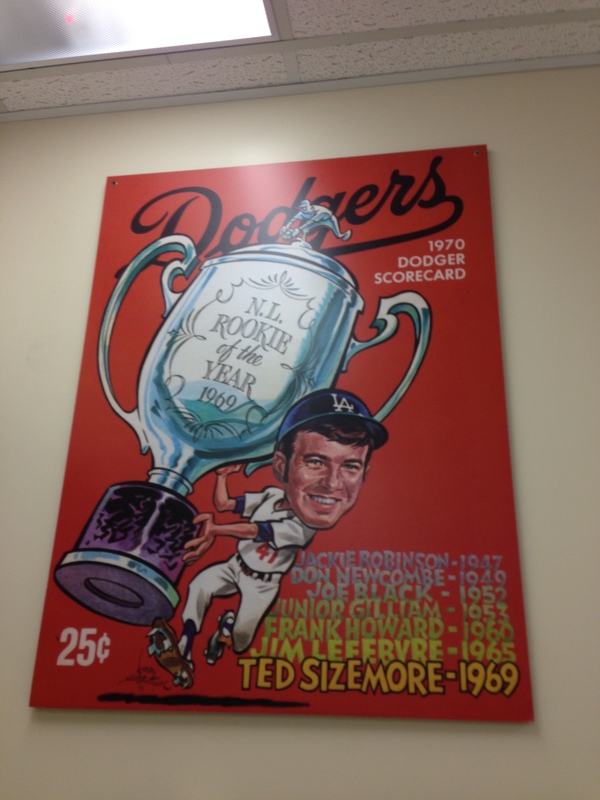 In 1947 the twenty-one-year-old Branca became the second-youngest National Leaguer to win 20 games. Branca was involved in two of the biggest moments in baseball history. 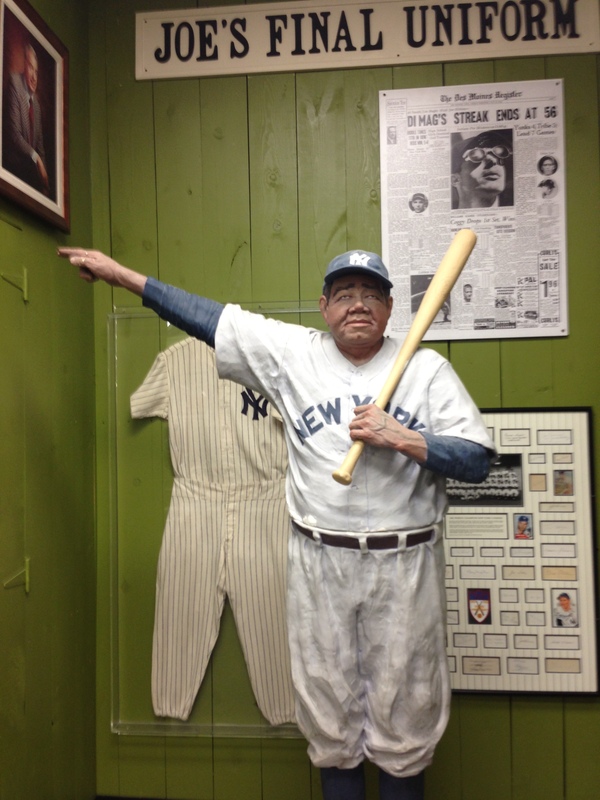 One was the integration of baseball by Jackie Robinson in 1947, and the other was as the man who threw the pitch hit for a home run by Bobby Thompson that won the 1951 National League pennant for the New York Giants. In January 2001, joshua Praeger, a reporter for the Wall Street journal published the details of a sign-stealing scheme the Giants rigged in the Polo Grounds. 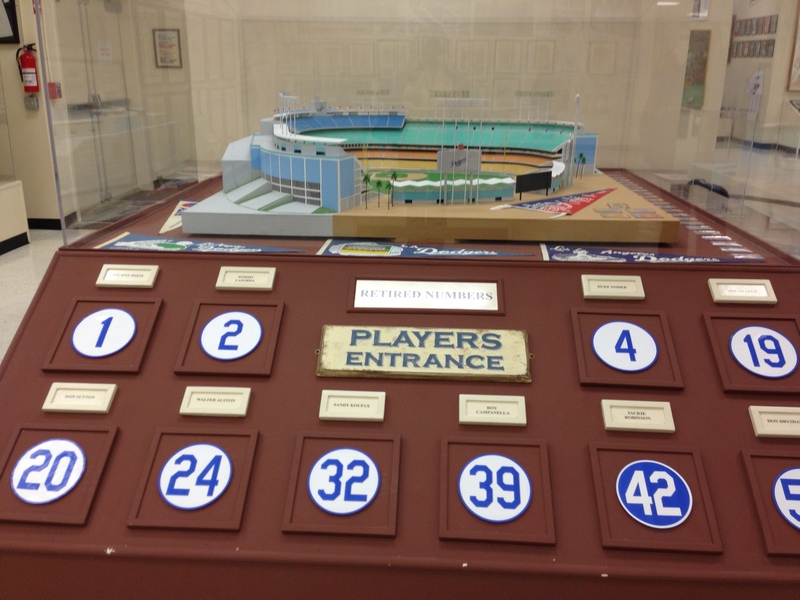 The scheme involved a telescope from windows in the center-field clubhouse, a buzzer rigged under dirt in the bullpen, and a reserve catcher positioning his body and equipment to tip-off the batter as to which pitch was coming. Branca said his friendship with Jackie Robinson continued after baseball. They played golf together when they worked in Manhattan and saw each other a lot while Jackie was with Chock Full of Nuts. Ref: SABR.org, book: ‘The Team that forever Changed Baseball and America The 1947 Brooklyn dodgers” Note: I am loving this book!